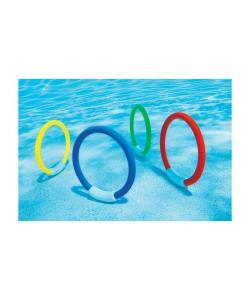 Summer Fun Swimming Pool Dive Rings. Colours in packet, red, yellow, green, blue. Size of ring is 12cm in diameter. 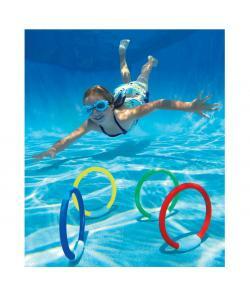 Watch the ring sink to the bottom of the pool, the rings will stand up at the bottom, then dive down to retrieve them.